Bird poo is a great fertiliser and New Zealand researchers have shown that coral reefs surrounding islands full of birds (and their poo) grow much faster than those without. The researchers tested coral around two Fiji islands in marine protected areas: one tree-covered island full of breeding seabirds and their guano, and a second island bereft of birds. Based on nitrogen traces in the coral, the researchers found that corals growing near the roosting seabirds took up nutrients from the poo and grew four times faster in a year than coral around the island with no birds. A University of Otago study has shown the positive impact bird poo, or guano, has on coral growth in tropical seas. Published online in the respected scientific journal Scientific Reports, the study Seabird nutrients are assimilated by corals and enhance coral growth rates demonstrates that seabird nutrients can significantly boost coral growth rates, offering a positive news story in a decade that has documented dramatic declines in reef health and percentage cover. “The findings have important implications for catchment-to-reef connectivity and demonstrate that coral conservation should also consider catchment management in addition to marine protection,” says author Dr Candida Savage, of Otago’s Department of Marine Science. The research was conducted in two Fiji marine protected areas; one remote island (Namena) with an intact coastal forest with breeding seabirds, the other (Cousteau) is away from any seabirds and their associated guano. Natural chemical tracers in coral tissues showed that corals growing near the roosting seabirds took up seabird nutrients. 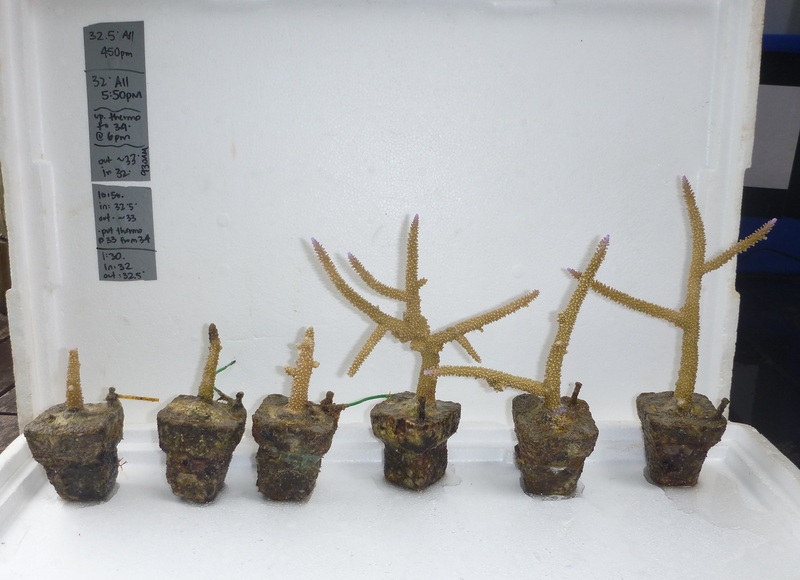 A one-year growth experiment demonstrated that corals grew up to four times faster at the Namena reef compared to the Cousteau reef due to the presence of seabirds. “Bird guano is known for its qualities as a fertiliser, however the impact it had on coral growth has been unknown until now. I was astounded at how much of a difference the presence of guano had in promoting coral growth,” Dr Savage says. The research shows that natural sources of nutrients like seabird guano may benefit coral reefs, in contrast to man-made nutrients from land that tend to degrade coral reefs. Coral reefs face multiple global and local threats including excess nutrient runoff from land. Over the last decade, the percent of threatened reefs has increased by 30 per cent, with nearly 75 per cent of the world’s reefs threatened today. Coral reefs are crucially important for biodiversity and people. Despite covering less than one per cent of the earth’s surface, coral reefs are home to one-quarter of all marine fish species and countless invertebrates. Data obtained on the reef resilience website illustrates the importance of coral reefs for humans. At least five hundred million people rely on coral reefs for food, coastal protection, and livelihoods. In developing countries, coral reefs contribute about one-quarter of the total fish catch, providing food to an estimated one billion people in Asia alone. They form natural barriers that protect nearby shorelines from the eroding forces of the sea, thereby protecting coastal dwellings, agricultural land and beaches. “Given that nearly one-third of seabird species are at risk of extinction globally and now that we know how beneficial seabird subsidies are for coral growth, we should consider catchment-to-reef management to protect our marine ecosystems. This could be in the form of protection of established seabird nesting grounds or promoting new seabird habitats by enhancing natural vegetation on land alongside protecting marine areas. If the birds are there, the benefits of their droppings will be too,” Dr Savage says. Dr Savage would like to acknowledge the support of the Government of Fiji in granting permits for the research, Dave Rundgren and Ellen Miller who helped with establishment of the coral arrays, the resorts at Cousteau and Namena and the dive operators in Savusavu who provided logistical support. The paper is open access and available at this URL.